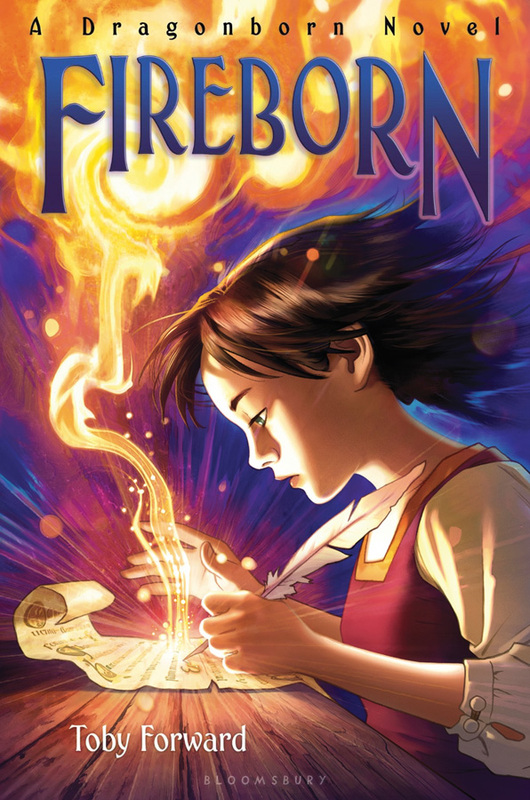 Here is the cover to FIREBORN, the sequel to DRAGONBORN. I finished this one almost exactly one year ago, and the book still won't be on the shelves until December! Book publishers sure do plan ahead. While I provided several different sketches, the art director liked the idea of basically mirroring the Dragonborn cover thematically and compositionally. There are four books in the series, so I was a little concerned about how I would handle the next two should I be asked to do them- I can't keep flopping the characters back and forth- but this is what we went with, so I'll have to figure it out eventually. Maybe the next one will be a straight-on shot of the main character, and the last could be a group shot. I don't know, but I would like the covers to work together somehow. My original color sketch for this one was a bit moodier with darker shadows and the like, but the publisher wanted to keep it a bit brighter and more colorful, and asked me to avoid too much black. When I look at this now, it's a bit too "Photoshoppy" for me, but I feel that way about most of my digital colors. I still haven't found the "less is more" filter.